DAVOS, Switzerland (Reuters) - Japan's central bank chief, Haruhiko Kuroda, said on Thursday that fintech companies could disrupt the banking system of advanced economies in a serious way. "We tend to think that these big tech companies are making a disruptive impact on the banking system," Kuroda told the World Economic Forum, noting that many countries were trying to change financial regulation in response. He said big tech companies tended to specialise in payments and settlement rather than deposit-taking and lending, adding that they "may disrupt the banking sector in a serious way. How to deal with this situation, that is a very difficult question." 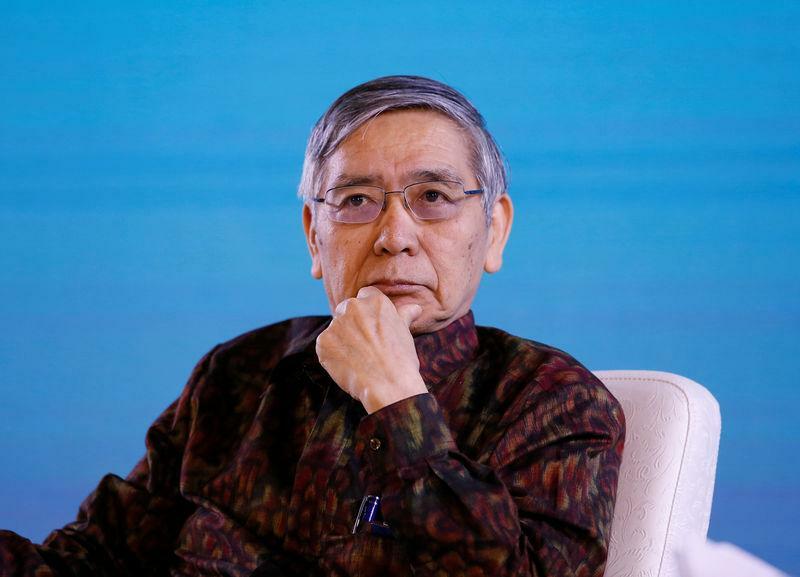 Kuroda warned of the dangers financial crises could cause not just to the economy but to the political system, pointing to the experience of Japan's asset-inflation bubble in the late 1980s and the collapse of it that led to a domestic banking crisis. "Financial crisis tends to create not just financial and economic problems, but political instability," he said. "In coming years, probably this cyber-risk issue would be the most serious kind of risk and we have to carefully study and think about ways to strengthen the system against any cyberattack," Kuroda said. Bank of England Governor Mark Carney highlighted the same problem, saying: "You've got to look at these situations and say at some point some core service or institution might be down for a while and what is the system going to do about it? That's an area where we need to do a lot more work."